During your stay in Florida if you fancy a change from the main Attractions you may decide to visit the Gulf coast. 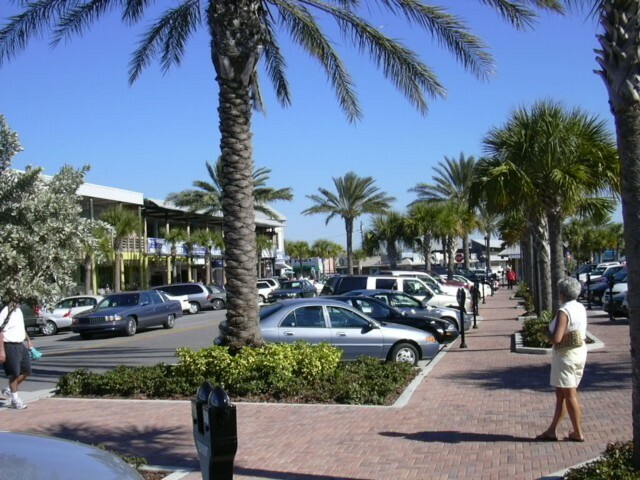 Clearwater is easily accessible by the Interstate 4 from the Orlando area and here you will find one of the best beaches in Florida - in fact it proudly boasts an award for being a top class beach. It is easy to stick to the beach area, maybe take a boat trip from the nearby harbour - but do take a ride down the coast road towards Madiera Beach and St John's Pass. We were told about St John's Pass by a local when we stopped to ask for directions on our first visit to the area - we would otherwise never have known about it! Heading south from Clearwater St John's Pass is located on the left in the area of Madiera Beach. There is plenty of parking - pull in to the area alongside the many gift and arty shops and start by having a browse around. Carry on walking towards the inlet and you will come to a raised boardwalk area. Here you can stand and watch the comings and goings of the many boats. Some are offering trips - straightforward boat trips or deep sea fishing expiditions. Others are working fishing boats that return periodically with their catches. 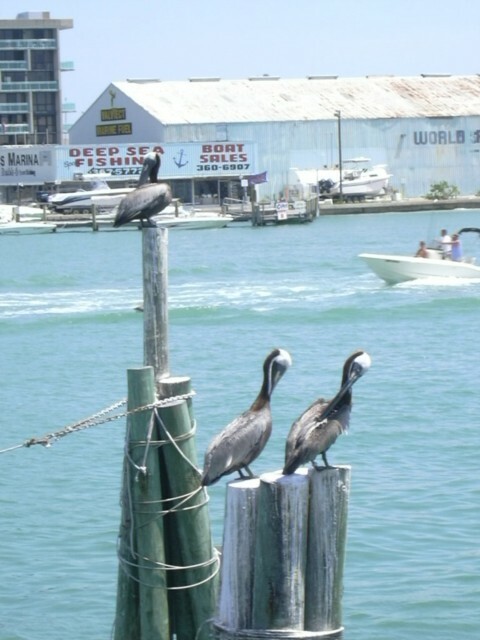 If you are lucky you will see a fishing boat return and watch as the pelicans descend on it to be fed! We watched the antics of the pelicans being fed for at least half an hour on one occasion - and it was fascinated to see these huge birds in their natural environment. Again, if you are lucky you will see dolphins in the inlet leaping out of the water! We watched enthralled for about 20 minutes! 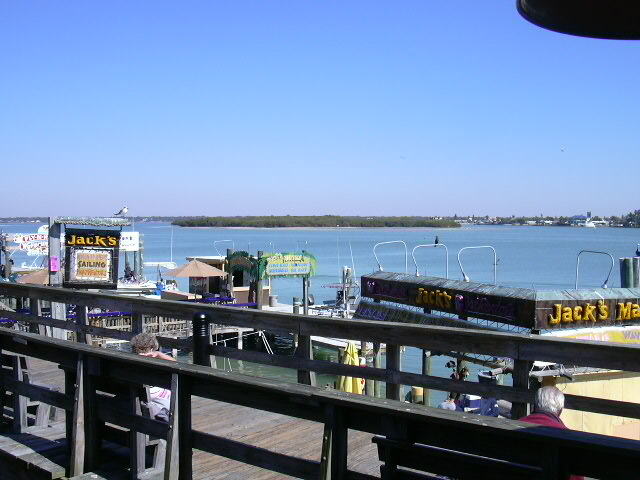 On the boardwalk is a restaurant called Sculleys which is made of old wood with a rusty corrugated iron roof! Looks are deceiving - they serve some of the best food in Florida! The salmon in a bun entices me back time after time! The road bridge that crosses the inlet splits and raises each time a tall boat comes along the estuary - and again this is fascinating to watch. The beach at Madeira is a few yards away and the typical soft fine white sand of the area is worth experiencing. Take off your shoes and walk down to the warm waters for a paddle! Finally - if you are there towards sunset it is worth stayng to watch the sun go down. There are the most beautiful sunsets there which you'll never forget. Viewed 4895 times since 1 September 2008.